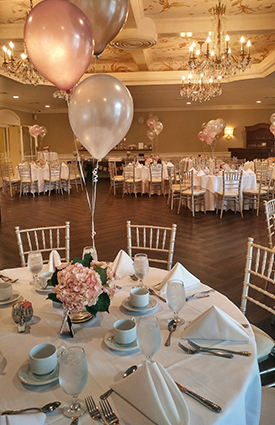 Ideally nestled in scenic Mountain Lakes, New Jersey, The Mansion is the perfect venue for your next social event or private party. 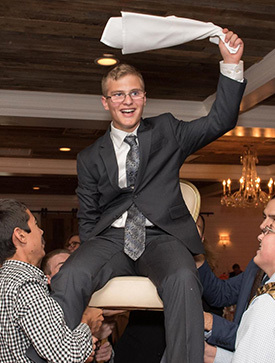 Offering elegant, expansive settings to host a multitude of different types and sizes of events, from unforgettable bar and bat mitzvahs to intimate dinner parties to elaborate black-tie balls. PERFECT FOR HOLIDAY PARTIES, BIRTHDAYS, ANNIVERSARIES, RELIGIOUS RITES OF PASSAGE, FUNDRAISERS AND CELEBRATING! 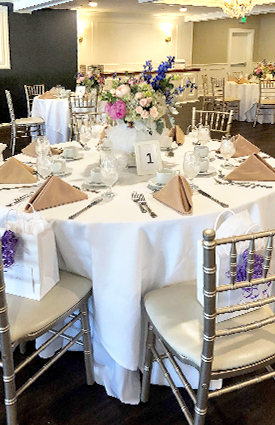 The classic architectural details, breathtaking ballrooms, versatile after party spaces, impeccable service and customized cuisine have garnered The Mansion acclaim as one of New Jersey’s premier event venues. Each event, from 50 to 400 guests is tailored to your individual needs. Our professional party planners will assist you with all of the details. The Mansion at Mountain Lakes boasts a variety of expansive rooms with elegant, architectural details inspired by our historic community of Mountain Lakes. In 1910, the natural lakes and lush woodlands were transformed into a thriving suburban garden community and adorned with large stucco houses built by developer Herbert J. Hapgood. 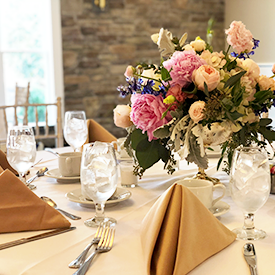 Whether you're hosting a small party for ten or a family celebration for hundreds, our first-class catering service will meet and exceed all of your culinary expectations. Our expert culinary team will create customized menus to bring your next event to life with a vast array of exquisitely prepared, gourmet menu options. Our cuisine is rivaled only by the exceptional service you will enjoy throughout the entirety of your event. We have menus tailored for every occasion and can even prepare family recipes, please inquire with our event specialists to hand-craft a menu specific to your event and taste. The Mansion at Mountain Lakes is ready to assist you with every detail. No matter what your event's needs are, our team will ensure that you enjoy your event as much as your guests.